The elevated alignment has 24 stations while 11 stations are underground. The total stations for Sg.Buloh-Serdang-Putrajaya Line is 35 stations. 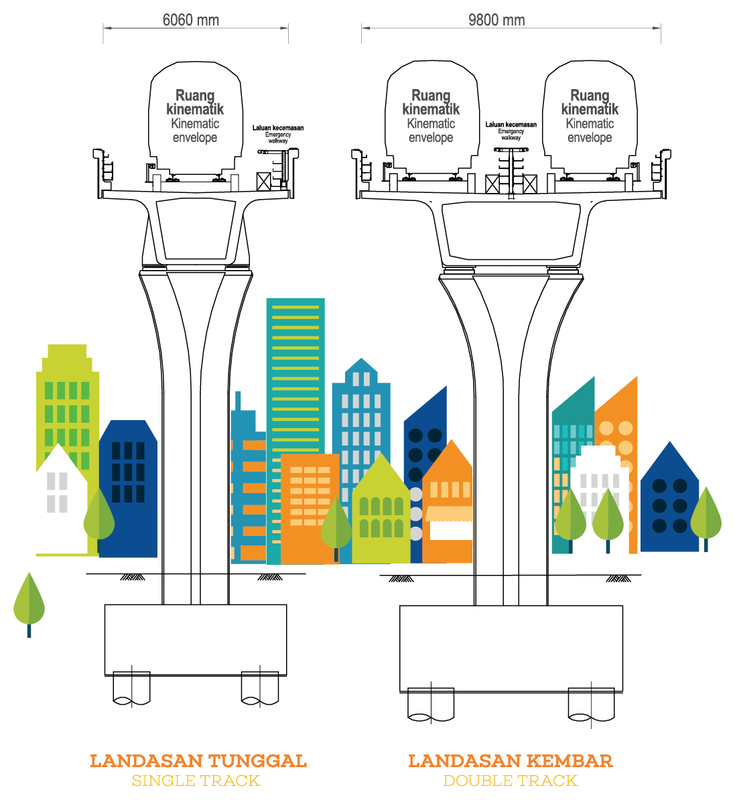 The elevated alignment of the SSP Line will be built on guideways supported by pillars. The height of the guideways depends on various factors such as the terrain on which it is built and whether it has to span over roads. 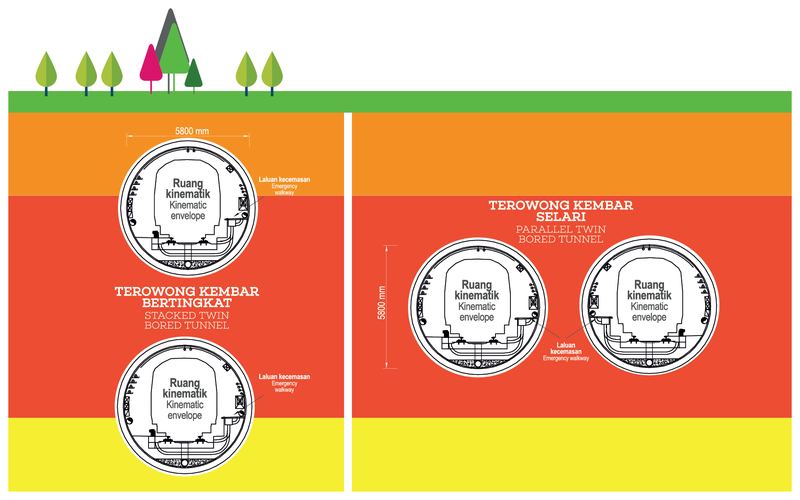 The underground alignment of the SSP Line will be built within tunnels. The tunnels will be built using tunnel boring machines and also the cut-and-cover method. The depth of the tunnels depends on factors such as whether it has to avoid any underground structures and geology. The MRT Sungai Buloh-Serdang-Putrajaya (SSP) Line is designed to international standards and best practices for fire safety and evacuation while complying with Malaysian safety regulations.